This event has been set up off the back of a conversation with a 2nd generation Christian of Cambodian background. She was interested in understanding more of her family traditions regarding ancestor worship. She wasn't sure how to respond well. As a Thai-Australian, this was my situation too once upon a time... and I'm sure the situation of others. In response, we want to help Australian Christians better understand the evangelism and discipleship needs of people from a Buddhist cultural background. 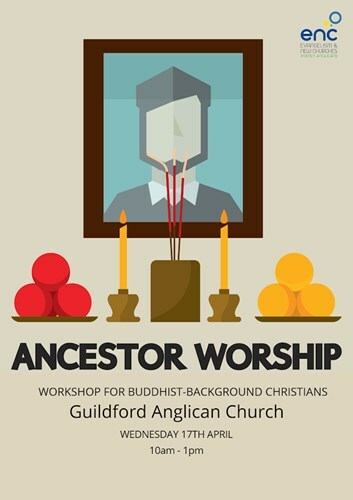 So on April 17th we will spend 3 hours looking at why ancestor worship is such an important tradition in South East Asia, what the Bible says and how Christians can respond warmly and compassionately in ways which honour our families. This event will be followed later in the evening by a prayer meeting for the Buddhist world, including the launch of the new Buddhist world prayer diary.